Given below are a list of Do's and Don't s for the attention of pilgrims. * wear clean and cultural clothes before you enter the shrine. * Concentrate on LordShiwa and Vadivambigai inside the temple. * Observe absolute silence and chant “Om Namachchivaya” inside the temple. * Respect ancient customs and usages while at Temple and promote religious sentiments among co-pilgrims. 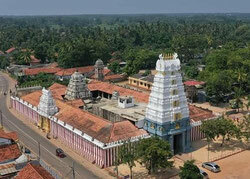 * Deposit your offerings in the Hundi or Hand over it to the Temple Staff and Obtain Receipts. 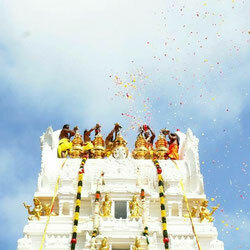 * Keep the temple premises Clean. * Please leave your Electronic gadgets like Cell phones, Calculator, Camera and footwear etc. before entering the temple. * Don’t eat non-vegetarian food. * Don’t consume liquor or other intoxicants. * Don’t smoke. Don’t approach touts for darshan. * Don’t wear footwear in and around the premises of the temple. * Don’t come to Temple for any purpose other than worshipping the Lord. * Don’t rush in for Darshan but take your turn in the queue. * Don’t enter the temple, if, according to custom or usage, you are prohibited to enter. * Don’t waste water and electricity. * Don’t spit, urinate or defecate in the open. * Don’t carry Cell phone, camera or any electric or electronic gadget.